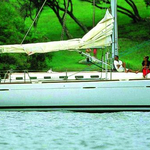 This sailboat is available from marina Primošten in region close to Sibenik in Croatia. 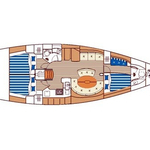 You can accommodate up to 9 pax on the yacht Franko II,Port of registry ŠIBENIK,CROATIA. Scheme of sleeping places is 9 (6+3). 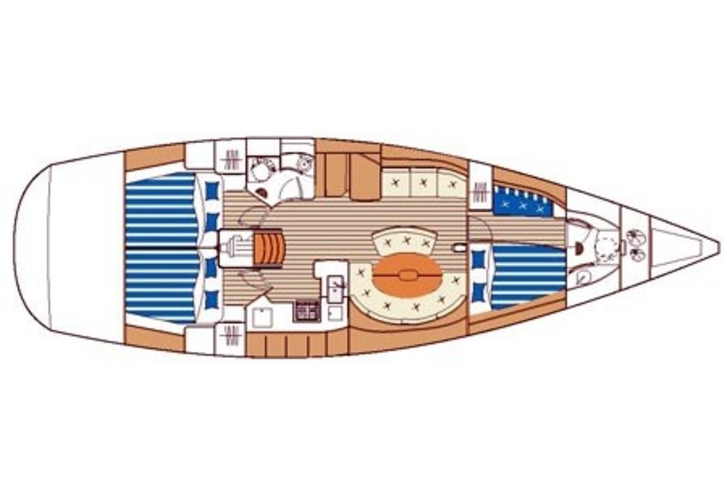 There are 3 cabins located under sailboat's deck. Franko II,Port of registry ŠIBENIK,CROATIA is equipped with 2 bathrooms. Look for more search results right here: Yacht charter Sibenik. Diesel tank is 240.00 l liters capacious , water tank has up to 430.00 l l. In this boat is installed engine Volvo 75 h.p. With 14.80 m of lenght overall and 4.49 meters of width Franko II,Port of registry ŠIBENIK,CROATIA provides enough space for comfortable sailing. First 47.7 Franko II,Port of registry ŠIBENIK,CROATIA is equipped with: Autopilot, Gps, Radar, Bow thruster, Dinghy, Teak deck, Radio / cd player, Microwave, Mainsail with lazy jack. . Security deposit is 2000.00 EUR. Use the search engine for search for more boats here: Yacht charter Primošten.